Claude Monet’s Secret Garden presents thirty-eight paintings spanning the career of one of the most important figures in Western art, focusing on the phenomenal body of work produced in Giverny, a small village in northern France where Monet resided from 1883 to the end of his life in 1926. A creative endeavor in their own right, the gardens that Monet designed and cultivated in Giverny became the central inspiration of his art. 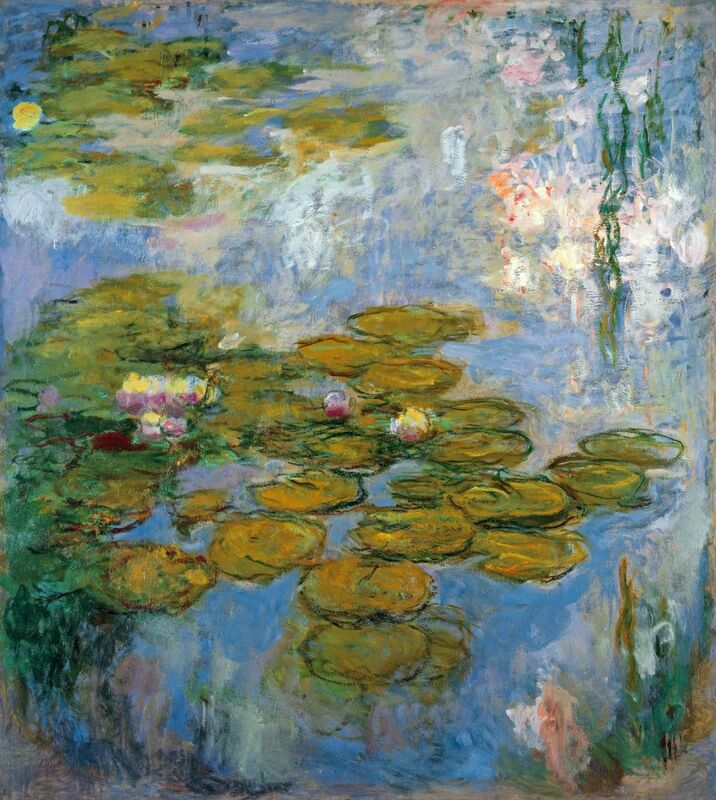 Its waterlilies — populated with exotic strains from as far as South America and the Middle East — weeping willows and the famed Japanese bridge endure as some of the most iconic imagery in art. Claude Monet’s Secret Garden maps out Monet’s career beginning in the late nineteenth century during his involvement with the Impressionist group of French painters. Monet’s 1872 painting Impression, Sunrise gave the movement its name and encapsulates its insistence on the primacy of immediate visual perception. The Impressionists cast off historical subject matter and turned to the world around them. Their art gave expression to modern life in France, a country rapidly altered by industrialization and urbanization in their time. 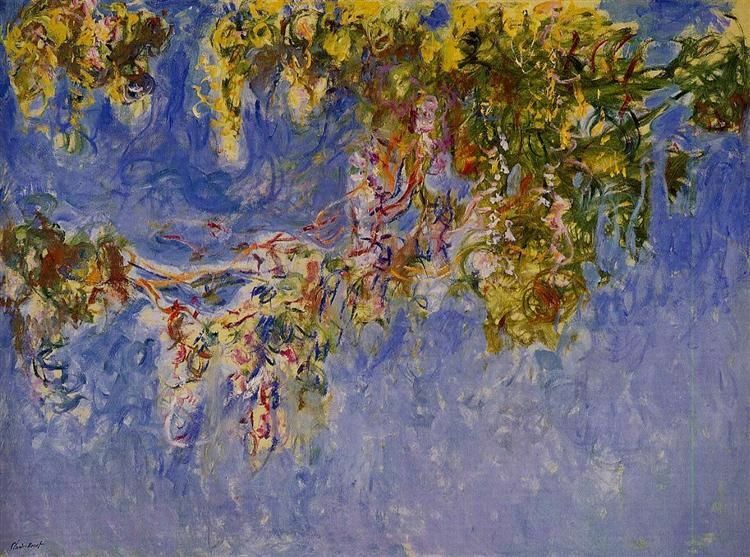 Claude Monet’s Secret Garden also surveys the diversity of subjects in his art, from the portrayal of modern life in his early figure studies to the inventive treatment of light in his scenes of the Parisian countryside and views of the River Thames. These works attest to Monet’s dedicated experimentation and novel approach to painting, which sought to capture the fleeting appearances and colors conjured by variable light with unique sensitivity. 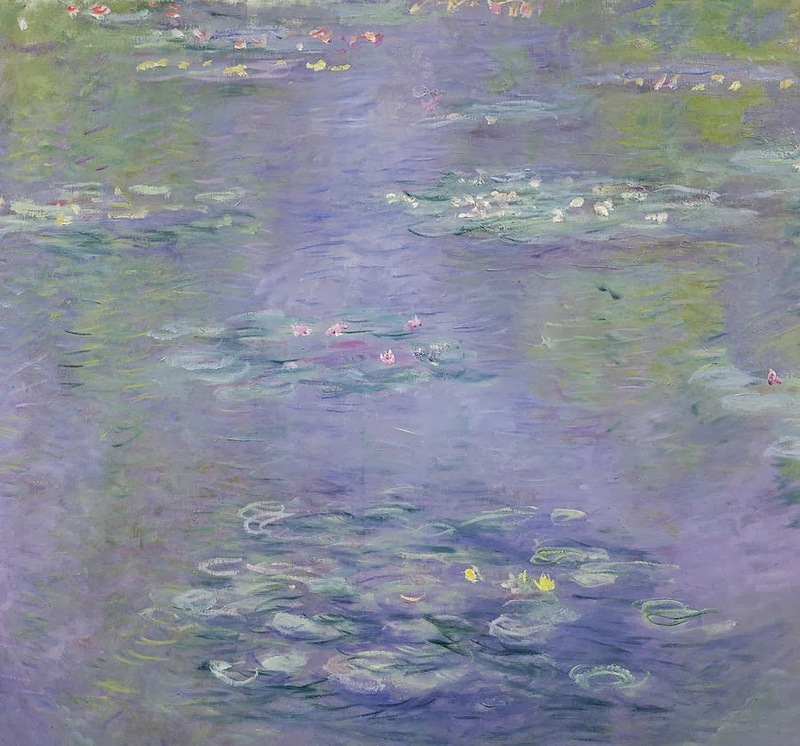 Collaboratively organized by the Musée Marmottan Monet in Paris and the Vancouver Art Gallery, this exhibition is curated by Marianne Mathieu, Deputy Director of the Musée Marmottan Monet, responsible for Collections and Communication; and Ian M. Thom, Senior Curator – Historical at the Vancouver Art Gallery. a luminous atmosphere seemed to surround him.... Picasso asked me to stay and have lunch with him, after which he went back with me to my studio. There he asked to see everything I had done from beginning to end....[W]e had dinner together and stayed up practically the whole night talking. Our thesis was Cubism–what it was trying to accomplish, what it had already done, and what future it had as a “new” art form. 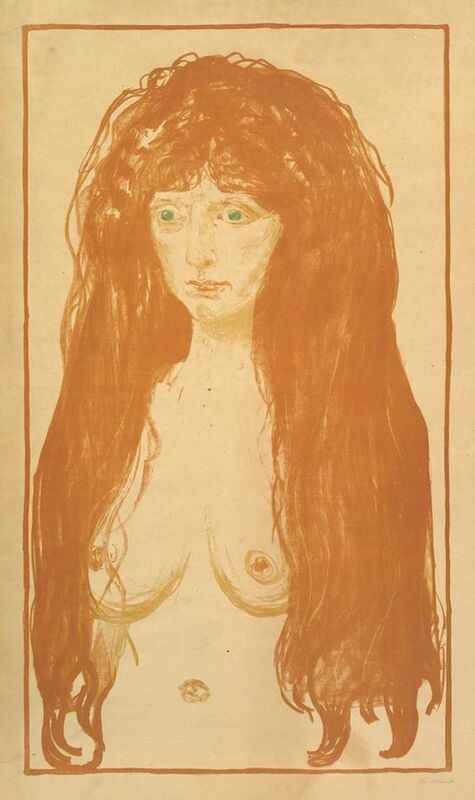 By late summer of 1915, much had changed within the Parisian artistic landscape from just the year before. Many artists had deserted the city, having been conscripted to serve in the First World War. 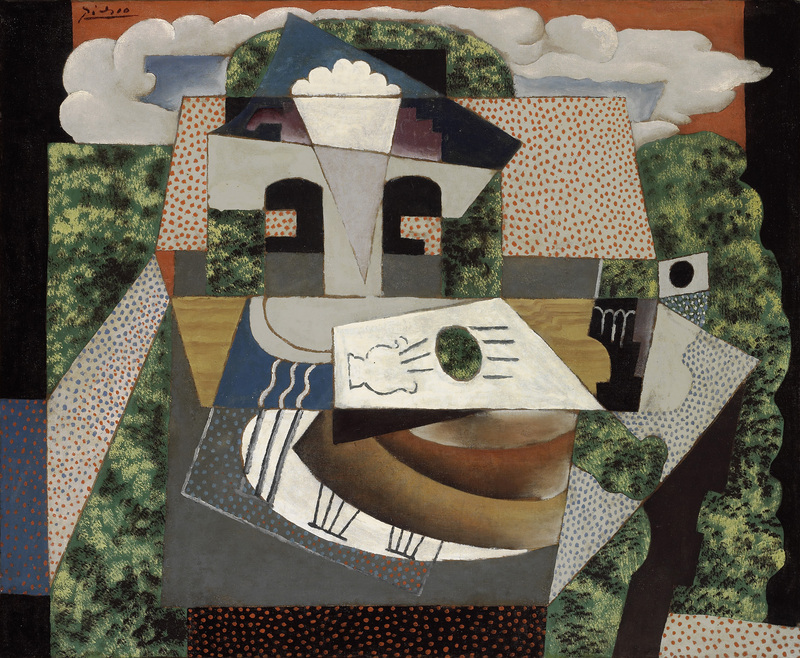 Those who remained, such as Juan Gris and María Blanchard, were finding their own way with Cubism, while Rivera now had a bone to pick with Picasso, whom he previously professed to revere. The source of Rivera’s ire was the perceived semblance between his 1915 Zapatista Landscape (The Guerrilla) and Picasso’s Seated Man (1915-16), which in its first iteration–as seen by Rivera in another visit to Picasso’s studio in August 1915–was known as Man Seated in Shrubbery. Rivera noted acute similarities between his canvas and that of the early state of Picasso’s work; namely, both works featured a similarly structured still life set outdoors. The Mexican artist’s very specific complaint was his former mentor’s liberal borrowing of Rivera’s formulaic foliage–scumbled patches of green and white paint on a dark ground. Rivera’s widely broadcast complaint may have incited Picasso’s significant alteration of Seated Man (he painted out much of the disputed greenery), though in Rivera’s eyes this perceived plagiarism was the ultimate affront fol- lowing a number of instances that the Spaniard had riffed on Rivera. Picasso/Rivera: Still Life and the Precedence of Form takes as its point of departure another case study of the two artists’ works: Picasso’s Still Life in a Landscape (1915) at the Meadows, which will be displayed for the first time with Rivera’s Still Life with Gray Bowl (Lyndon Baines Johnson Presidential Library, Austin), painted in the same year. 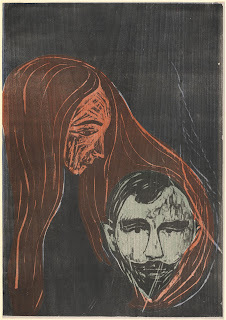 Exhibited in close proximity, these two paintings together encapsulate the two artists’ storied overlapping of themes and motif appropriation during that period. 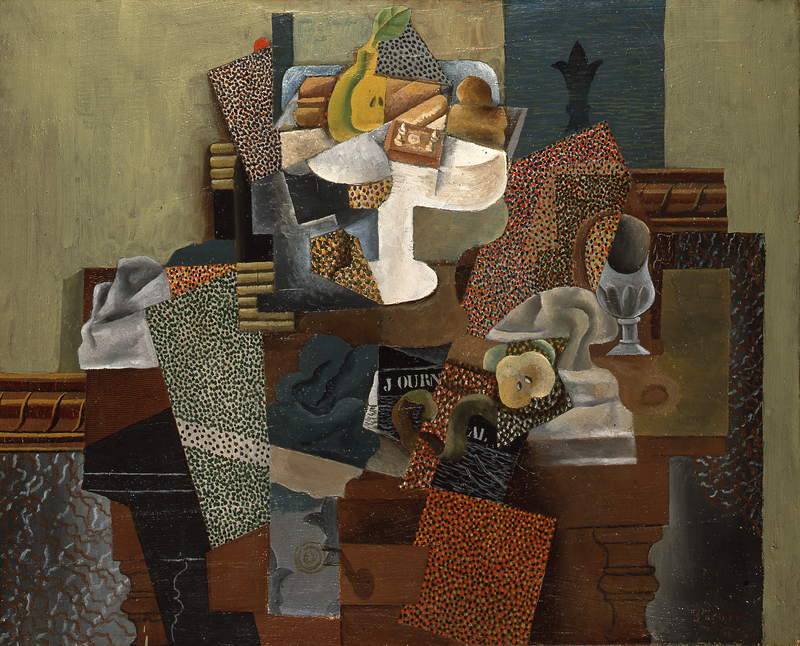 Echoing key elements of Rivera’s canvas, Picasso’s still life features the familiar foliage devised by Rivera as well as a slice of sky above. The compositional similarities of these two works seem to extend beyond mere artistic rivalry, pointing to a common theme that both Picasso and Rivera were actively exploring in 1915: a still life set outdoors. Perhaps during their discussion at their initial meeting in 1914 about the future of Cubism, Picasso and/or Rivera thought to take the “‘new’ art form” to the past–to the Renaissance idea of painting as a window on the world. more precisely, Paul Cézanne), would have presented a composition marked by linear perspective and mimetic representation. 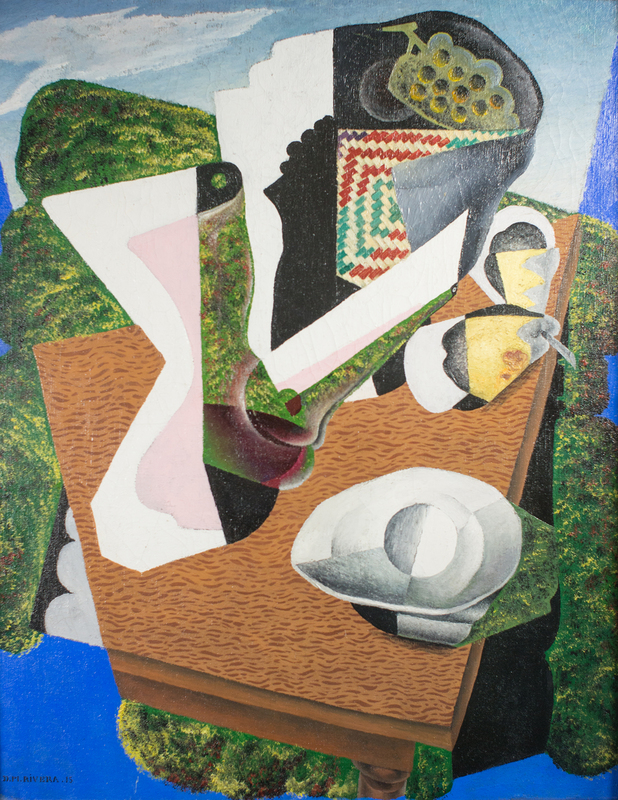 The juxtaposition of such diametrically opposed ideas fits perfectly within the game playing of synthetic Cubism: the integration of patterned and other- wise decorated, collage-like components (such as Rivera’s trees, which Picasso clearly did not consider proprietary) in Still Life in a Landscape underscores the two-dimen- sionality and shallow pictorial space of the composition framed by a sky and trees–vestiges of a simulated world. As a postscript, Picasso left the canvas exposed in select areas not only to create borders between elements but also to emphasize the artifice of the painting. Rivera’s work from the Lyndon Baines Johnson Presidential Library includes similar visual cues: objects placed on a table bordered by the token foliage and set beneath–or within–a blue sky. 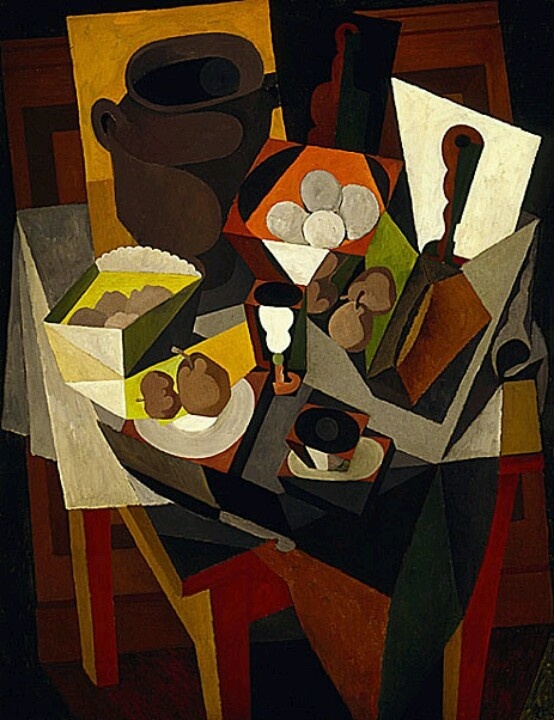 A comparison of these two 1915 Cubist works by two different artists sheds light on their distinct vernaculars, such as their individual treatment of the compote, an essential component of the still life. The close parallels of these two canvases fuel the stories of spirited rivalry between Picasso and Rivera. 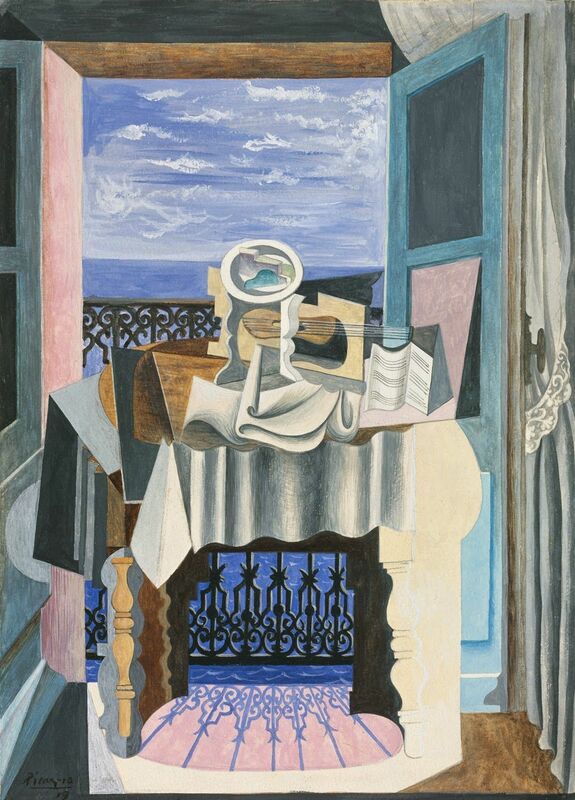 It should be remembered, however, that in wartime Paris other expatriate artists were also exploring possibilities of the open window, including Gris, who preceded both Picasso and Rivera with his own rendering of a still life before an open window in June 1915. Putting aside the idea of cross-appropriation between artists, a comparison of another composition by Picasso with his work in the Meadows collection provides greater insight into the artist’s Cubist idiom. Also on display in this exhibition will be Still life with Compote and Glass (1914-15) from the Columbus Museum of Art. Formalistically, the still life components of the Meadows work as well as their positioning within the composi- tion closely parallel – and proceed from – the Columbus example: the glass at the right edge of the table and the white compote at the center of the Columbus canvas help to decipher their more cryptic counterparts in the Meadows painting. Painted in the winter of 1914-15, Still life with Compote and Glass is a prequel to the art- ist’s experiments with placing still life in a landscape. will afford a closer look at the development of Picasso’s Still Life in a Landscape in the Meadows collection by presenting it together with its analogue from the Columbus Museum of Art as well as Rivera’s variation on the theme from Austin. The visual dialogue taking place in 1915 between these two giants of modern art will be further outlined through the display of Rivera’s 1915 Still Life with Bread Knife, a second generous loan from the Columbus Museum of Art. Beyond the rich anecdotes regarding the relationship of the two artists, this group of paintings provides an opportunity to find parallels as well as deviations between these can- vases. In spite of limited wartime resources, 1914-15 proved to be a fecund era of creativity for both Picasso and Rivera. Pablo Picasso (Spanish, 1881-1973), Still Life in a Landscape, 1915. Oil on canvas. Meadows Museum, SMU, Dallas. Algur H. Meadows Collection, MM.69.26. Photo by Michael Bodycomb. © 2016 Estate of Pablo Picasso/Artists Rights Society (ARS), New York. Diego Rivera (Mexican, 1886-1957), Still Life with Gray Bowl, 1915. Oil on canvas. LBJ Presidential Library, Austin, Texas. © 2017 Banco de México Diego Rivera Frida Kahlo Museums Trust, Mexico, D.F./Artist’s Rights Society (ARS), New York. Pablo Picasso (Spanish, 1881-1973), Still Life with Compote and Glass, 1914-15. Oil on canvas. Columbus Museum of Art, Ohio: Gift of Ferdinand Howald. Pablo Picasso (Spanish, 1881-1973), Still Life in front of a Window, 1919. Oil on canvas. Weatherspoon Art Museum, The University of North Carolina at Greensboro. Nicole Atzbach, “Picasso/Rivera: Still Life and the Precedence of Form,” At the Meadows, Spring 2017, pp. 9–12. Evocative wartime landscapes, including views of London, rooting him firmly in the Neo-Romantic tradition. Figurative work including portraits of young male students and friends that express something of Minton’s experience as a leading gay artist in the 1940s and 1950s. These have added poignancy as 2017 marks 50 years since the decriminalisation of male homosexuality in England and Wales. Book illustrations, posters and lithographs, showing his position as a leading post-war illustrator. Ambitious paintings exploring historic and current events, as he sought a new context for history painting in an increasingly abstract art world. Minton was a Bohemian figure in London during the 1940s and 50s who counted artists such as Lucian Freud and Keith Vaughan in his circle, and a following of Camberwell School of Art and Royal College of Art students known as ‘Johnny’s Circus’. Often the life and soul of a party but also plagued by self-doubt, his work reflected his complex character. The exhibition opens with Minton’s evocative wartime landscapes, including moving depictions of post-war London, which gained him the moniker ‘urban romantic’. 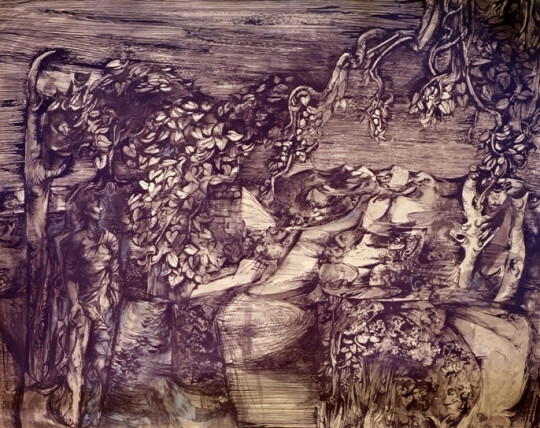 Placing him firmly within the context of Neo-Romanticism in Britain, it explores the influence of the 19th century visionary Samuel Palmer as well as that of his contemporaries including the Polish émigré Jankel Adler, and also Keith Vaughan, Michael Ayrton, Robert Colquhoun and Robert MacBryde, all of whom he shared a home with during the 1950s. Extensive travels to Europe and the Caribbean in the late 1940s and early 1950s offered Minton exotic subject matter that was an antidote to the reality of post-war Britain. With financial support from the publisher John Lehmann and a commission to illustrate the travel title ‘Time was Away’, Minton travelled to Corsica with the poet Alan Ross. It was for Lehmann that Minton produced illustrations for Elizabeth David’s much-revered cookbook ‘A Book of Mediterranean Food’ in 1950. The exhibition brings together original designs for these and other publications, including Treasure Island, and The Leader magazine, showing how Minton's commercial work was central to his fine art practice. In 1951, a three-month trip to Jamaica inspired a new colour palette of sharp, acid colours and presented the artist with a backdrop of political and racial tension that mirrored his own search for equilibrium. 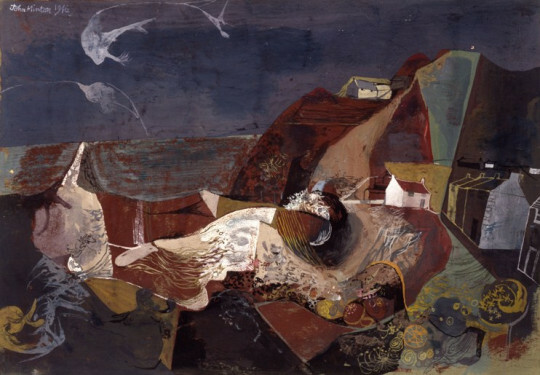 This disquiet is evident in the recently rediscovered ‘Jamaican Village’ (1951) - this huge mural painting, first exhibited at the Royal Academy in 1951 and gifted to fellow Royal College of Art tutor Pf. John Morris Wood, resurfaced for the first time in 65 years at a Christie’s sale in 2016. Thought to have been intended for the walls of legendary London clubs The Gargoyle or the Colony Room, this is the painting’s first showing in a public institution since 1951. The second half of the exhibition focusses on Minton’s figurative paintings which demonstrate a remarkable skill in draftsmanship. In many, the artist’s roots in illustration are visible in the use of black paint and outlining. 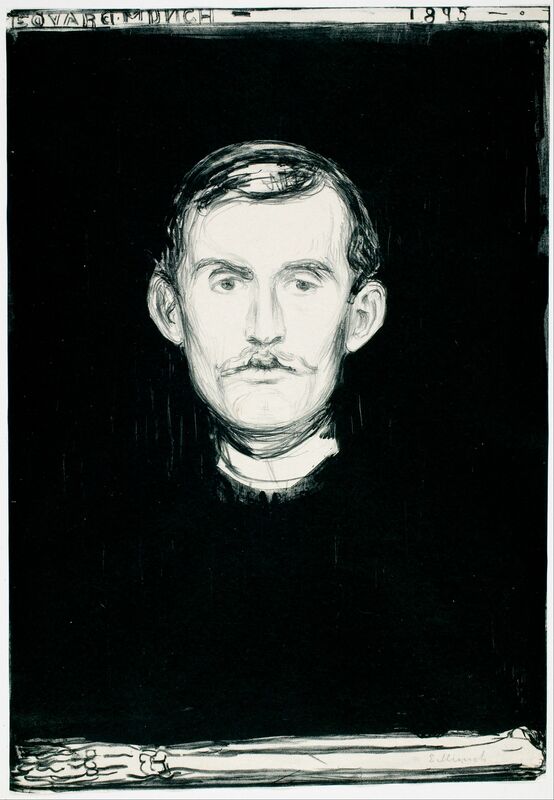 Minton’s sensitive and often psychologically intense portraits of young men, some of them his students, as in David Tindle, and some his lovers, as in Raymond Ray, can be analysed in relation to the artists’ own tortured homosexuality. Minton did not keep his sexuality secret, but battled with the stigma and risk attached to being gay at a time before the Wolfenden Report in 1957 and the legalisation of homosexuality in 1967. The 50-year anniversary of the decriminalisation of male homosexuality in England and Wales in 2017 brings added poignancy to the exhibition. In the late 1950s Minton increasingly felt out of step with the rising interest in abstract art. The exhibition culminates with a group of paintings depicting historic and current events – the death of Nelson and that of the musician James Dean - in his attempt to find a modern form of history painting, a genre which had become deeply unfashionable. It was perhaps this feeling of being left behind that contributed to his suicide in 1957, aged just 40. The exhibition is curated by Simon Martin, Director of Pallant House Gallery, and Frances Spalding, art historian and biographer of Minton. An illustrated book by the curators, adding significantly to the critical discourse on John Minton, accompanies the exhibition and is available in the Pallant Bookshop. The exhibition is complemented by a display of paintings by William Coldstream, who also taught at the Royal College of Art alongside Minton. An exhibition of John Minton’s friends and contemporaries in the Neo-Romantic movement in the historic townhouse will provide further context to the narrative of Minton’s life and career. About Pallant House Gallery: Located in the heart of historic Chichester on the south coast, Pallant House Gallery houses one of the most significant collections of Modern British art in the country. Acclaimed for its innovative exhibitions and exemplary Learning and Community programme, the Gallery has won numerous awards since re-opening in 2006. www.pallant.org.uk. In the weeks prior to his death, J.M.W. Turner is said to have declared (to John Ruskin) ‘The Sun is God’ – what he meant by this, no-one really knows, but what is not in any doubt is the central role that the sun played in Turner’s lifelong obsession with light and how to paint it. Turner and the Sun, an exhibition curated by Hampshire Cultural Trust, will be the first ever to be devoted solely to the artist’s lifelong obsession with the sun. Whether it is the soft light of dawn, the uncompromising brilliance of midday or the technicolour vibrancy of sunset, his light-drenched landscapes bear testimony to the central role that the sun assumed in Turner’s art. Through twelve generous loans from Tate Britain – the majority of which are rarely on public display – this focused exhibition will consider how the artist repeatedly explored the transformative effects of sunlight and sought to capture its vivid hues in paint. The sun appears in many different guises in Turner’s work. Sometimes it is something very natural and elemental, at others it is more mysterious and mystical. Turner was working in an era when the sun - what it was, what it was made of and the source of its power - was still a source of mystery and wonder. The Royal Society was housed in the same building as the Royal Academy, and it is known that Turner attended lectures and was acquainted with scientists such as Faraday and Somerville. It is therefore possible that he was influenced by new scientific theories about the sun when he tried to depict it. Certainly, Turner’s own Eclipse Sketchbook of 1804 – which will be featured in the exhibition - shows him recording visual data of an atmospheric effect on the spot. Turner also mined ancient mythology for inspiration. The tale of Regulus, the Roman general punished by having his eyelids cut off and thus made to stare at the sun, is echoed by the artist replicating the effect of solar glare in paint, while the stories of Apollo and the Python and Chryses both feature the Greek sun god, Apollo. Sun Setting over a Lake (c 1840, Tate) an unfinished but highly vivid depiction of a sunset. At first, the viewer tries to discern behind what is, possibly, Lake Lucerne in Switzerland, but what soon becomes evident, is that the principal subject of the painting is the light and the way it is reflected in the water and gilds the sky and clouds above. The Lake, Petworth, Sunset; Sample Study (c.1827-8, Tate), which is one of a series of six sample studies made for the four finished canvases for Petworth House. 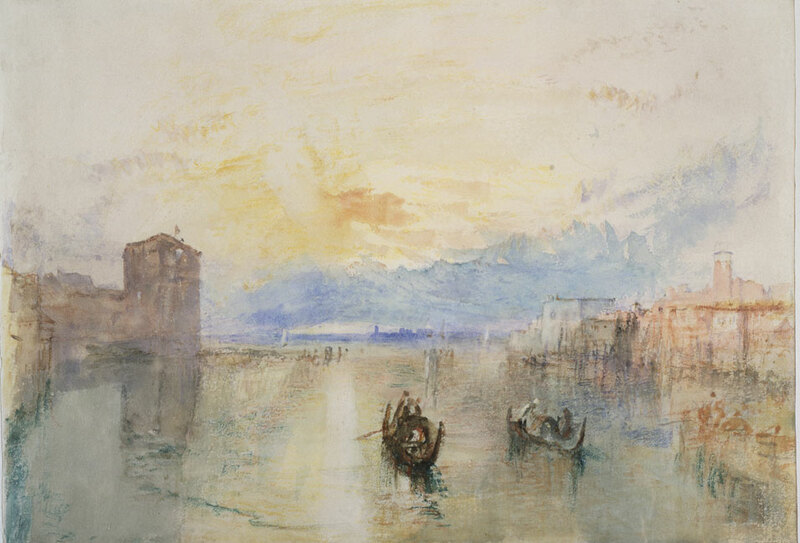 The popularity of the Grand Tour and the enduring appeal of Venice created a lucrative and artistically important opportunity for Turner in his late career. Going to the Ball (San Martino) , exhibited 1864, Joseph Mallord William Turner (1775 – 1851). Tate: Accepted by the nation as part of the Turner Bequest 1856. Photo © Tate, London 2017. In Going to the Ball (San Martino) (exhibited 1846, Tate), we see boats taking Venetian revellers to a masque ball against the backdrop of a golden cityscape. This was Turner’s last painting of Venice and was in his studio at the time of his death in 1851. Sunset: A Fish Market on the Beach ,c.1835. Copyright Tate, London, 2015. 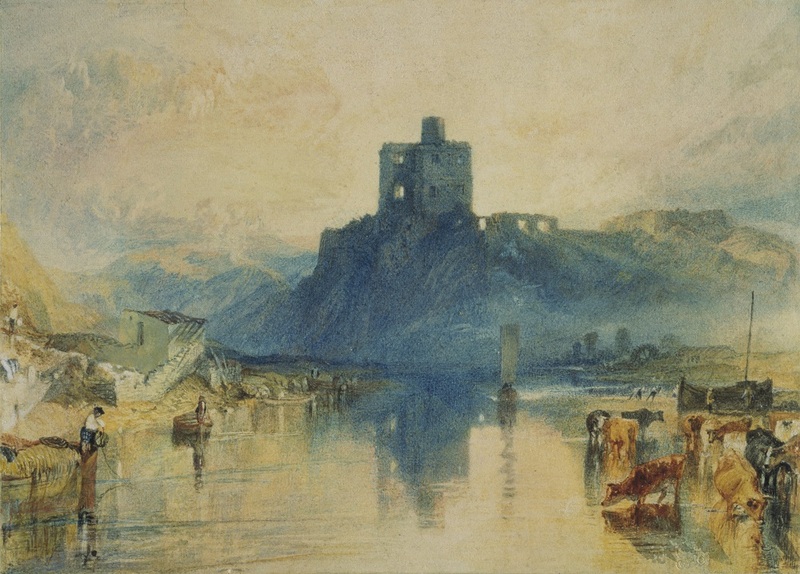 Some of Turner’s most acutely observed images of the sun are his informal, private exercises in watercolour and experiments with wash and colour. Swiftly executed, sometimes in batches, they capture transient effects where the sky is utterly dominated by the effects of the sun. A selection of these will be seen in the exhibition, and they are normally only viewed by appointment. Opening September 16, 2017 at the Montclair Art Museum (MAM), Charles E. Burchfield: Weather Event is an exhibition of more than 40 of the renowned artist’s lyrical landscape watercolors and drawings that trigger the memories and moods inspired by weather and climate change. His works invite the viewer to experience through the artist’s eyes the environments in Ohio and New York south of Lake Erie. The exhibition will be on view through January 7, 2018. Charles E. Burchfield (1893–1967), Sunburst, 1929–31, oil on canvas. The Charles Rand Penney Collection of Works by Charles E. Burchfield, 1994, 19994:001.052. Reproduced with permission from the Charles E. Burchfield Foundation and the Burchfield Penney Art Center. Individual weather events are examined through both an artistic and a scientific lens. Weather refers to the state of the atmosphere for a given time and place, while climate is the sum of weather events that describes a place or region. Burchfield’s works capture both, with “all day sketches” conveying snapshots of past weather on specific days as well as later watercolors painted over a number of years conveying the character of a place. The exhibition is organized around themes that inspired Burchfield: the sky, changing seasons, haloed moons, sunbursts and cloudbursts, heat waves, and wild weather. The works convey the artist’s emotional responses to the weather and his desire to portray the invisible aspects of nature, such as sounds and heat waves, by means of visible signs and symbols. Charles E. Burchfield (1893–1967) was one of the great visionary modern painters of the 20th century. Burchfield started his artistic career at the Cleveland School of the Arts in 1915. 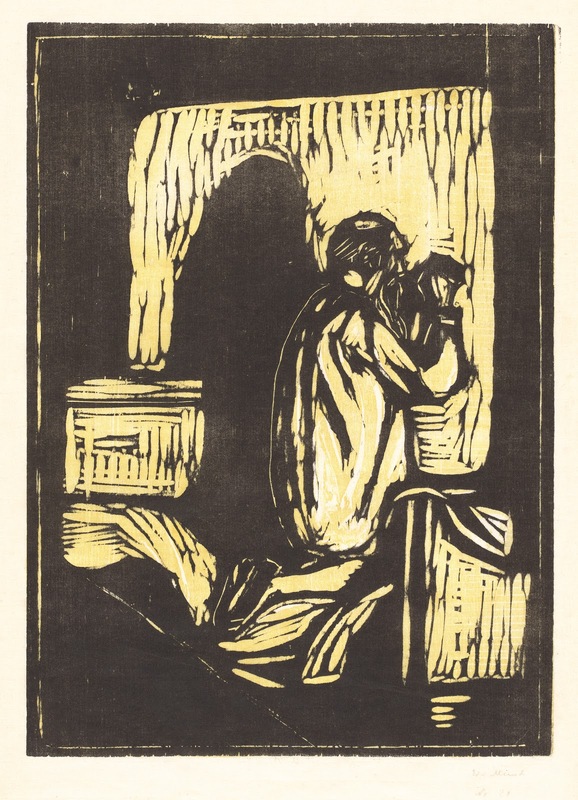 His artistic influences include the stylized, simplified forms and vibrant colors in Japanese prints by Hokusai and Hiroshige, Chinese scroll paintings, and Cleveland modernists Henry Keller and William Sommer. Moving to Buffalo in 1921, Burchfield’s foray into realism at this time was inspired by what he saw as the uniquely American aspects and romantic picturesque qualities of Buffalo and its environs. In the 1940s, Burchfield returned to more abstract forms of his earlier landscapes, following this artistic vision until the end of his life. 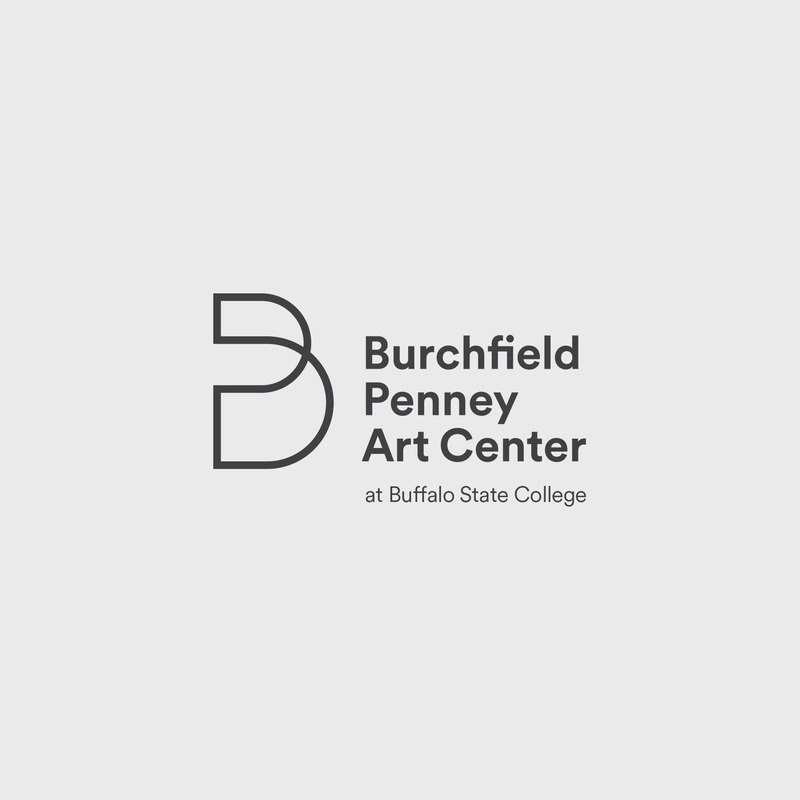 This exhibition was organized by The Burchfield Penney Art Center at Buffalo State College, Buffalo, NY. It was curated by Tullis Johnson, curator and manager of archives at The Burchfield Penney Art Center, and Dr. Stephen Vermette, climatologist and professor in the Department of Geography and Planning at Buffalo State College. It is arranged at the Montclair Art Museum by Gail Stavitsky, MAM chief curator. In the second half of the 19th century, advances in physics, electromagnetic radiation theory, and the optical sciences provoked new thought about the physical as well as the spiritual worlds. Aspects of that thought are revealed in Edvard Munch: Color in Context, an exhibition of 21 prints that considers the choice, combinations, and meaning of color in light of spiritualist principles. 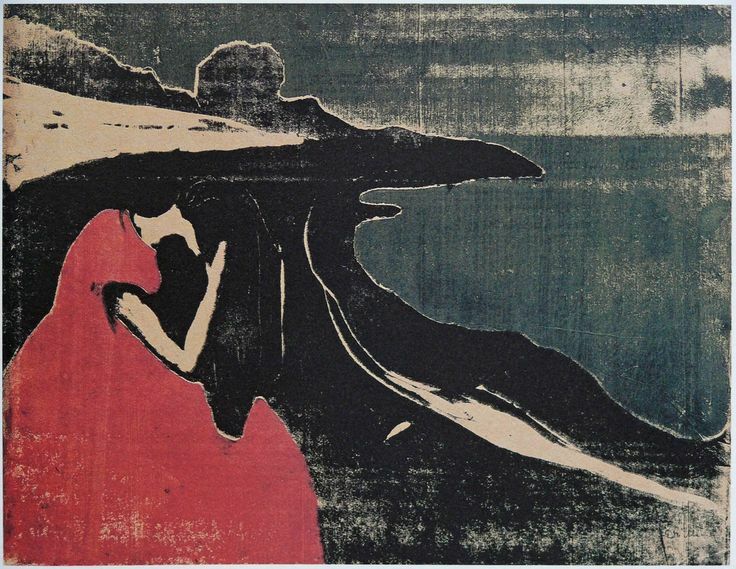 Informed by popular manuals that explained the science of color and by theosophical writings on the visual and physical power of color, Edvard Munch (1863–1944) created works that are not just strikingly personal but also are charged with specific associations. 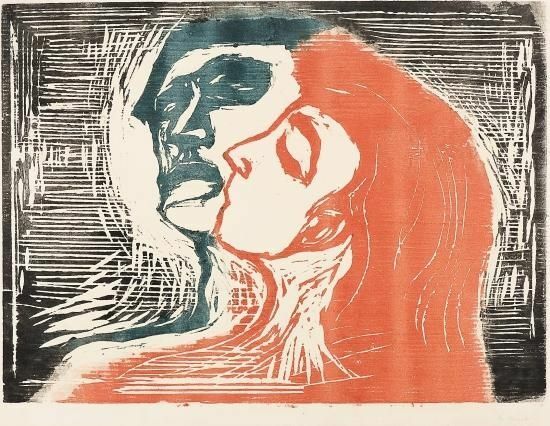 Edvard Munch will be on view in the West Building from September 3, 2017, through January 28, 2018. The majority of the prints in the exhibition come from the Epstein Family Collection, the largest and finest gathering of the artist's graphic work outside of his native Norway. Their holdings are being steadily donated to the Gallery. 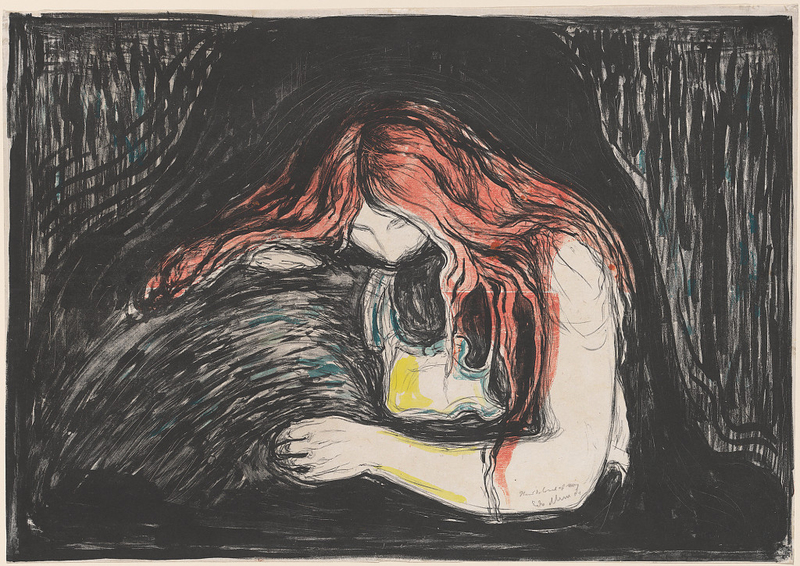 "We are indebted to the Epstein family for their extraordinary commitment to the Gallery and to the understanding of Edvard Munch's art," said Earl A. Powell III, director, National Gallery of Art. "It is an honor to dedicate this exhibition to the memory of Lionel Epstein, who passed away earlier this year." 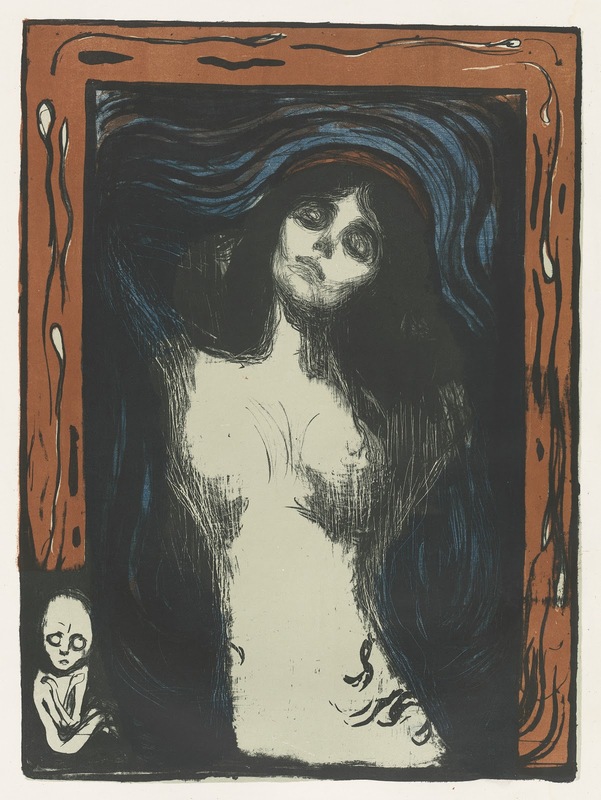 The Gallery has presented seven exhibitions on Munch: Woodcuts, Lithographs, and Etchings from Paul Gauguin and Edvard Munch (1947); Prints by Edvard Munch from the Rosenwald Collection (1972); "The Sick Girl" by Edvard Munch (1975); Edvard Munch: Symbols and Images (1978); Edvard Munch: Master Prints from the Epstein Family Collection (1990); Edvard Munch: Master Prints (2010); and Edvard Munch: A 150th Anniversary Tribute (2013). 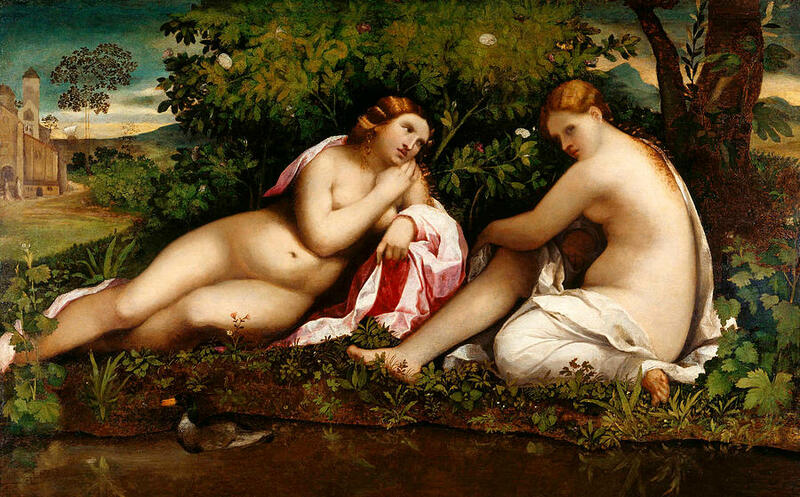 The exhibition is organized by the National Gallery of Art, Washington. Early in his life, Munch was exposed to spiritualism and aural concepts that became popular on an international scale at the end of the 19th century. His childhood vicar was the well-known spiritualist Reverend E. F. B. Horn. 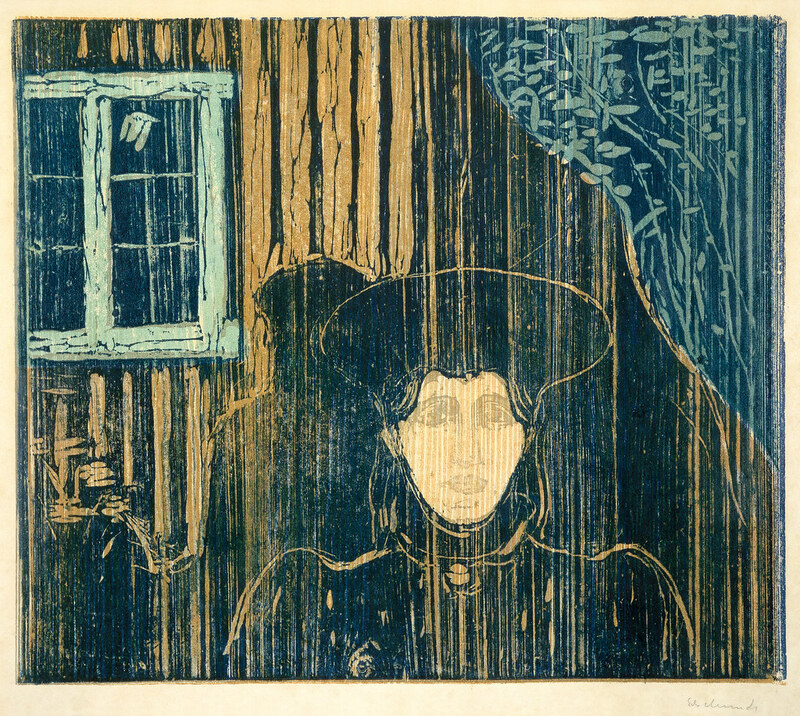 Additionally, as a young artist in Oslo, Norway, Munch would meet his friends directly across the street from traveling medium A. Stojohann's "Scientific Public Library." 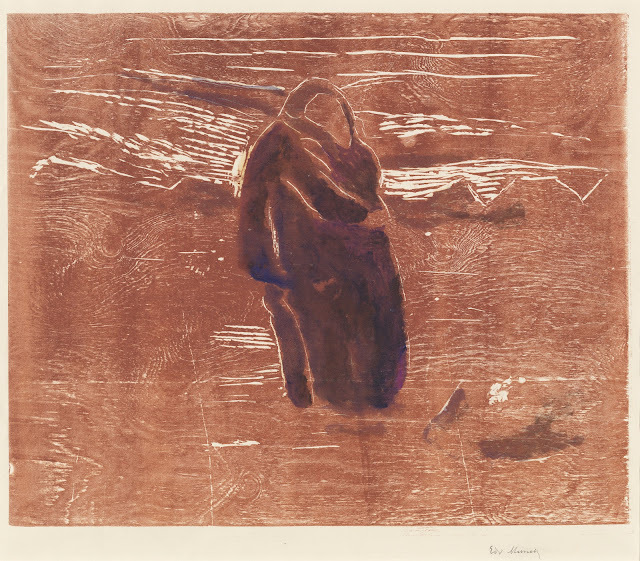 Given such exposure, Munch would have been open to the notion of spiritual power, four-dimensional planes, and invisible forces. It is known that he believed he could see energies radiating from specific colors. 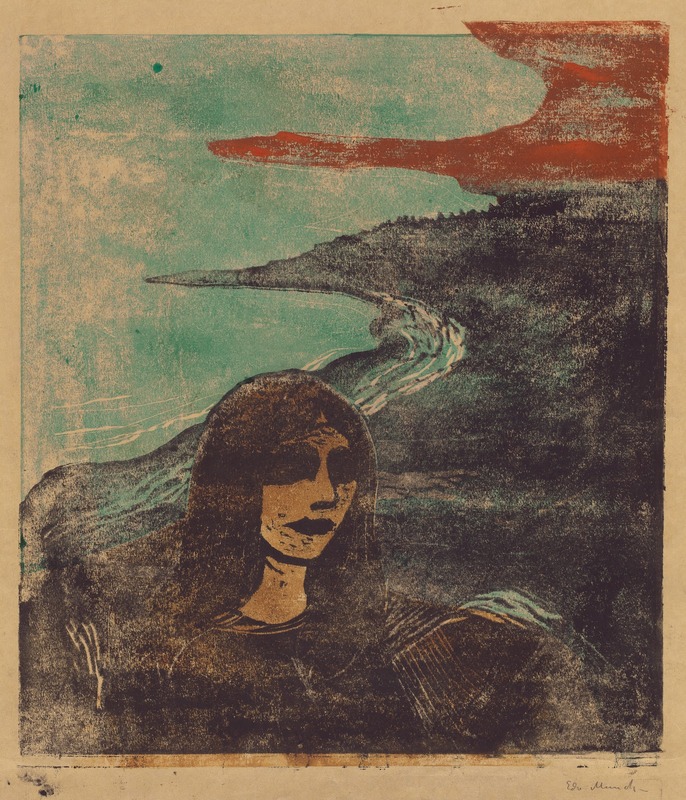 Many of Munch's contemporaries, including Paul Gauguin (1848–1903), Maurice Denis (1870–1943), and Odilon Redon (1840–1916), were well aware of these new philosophies, and their work bears some general relation to them. 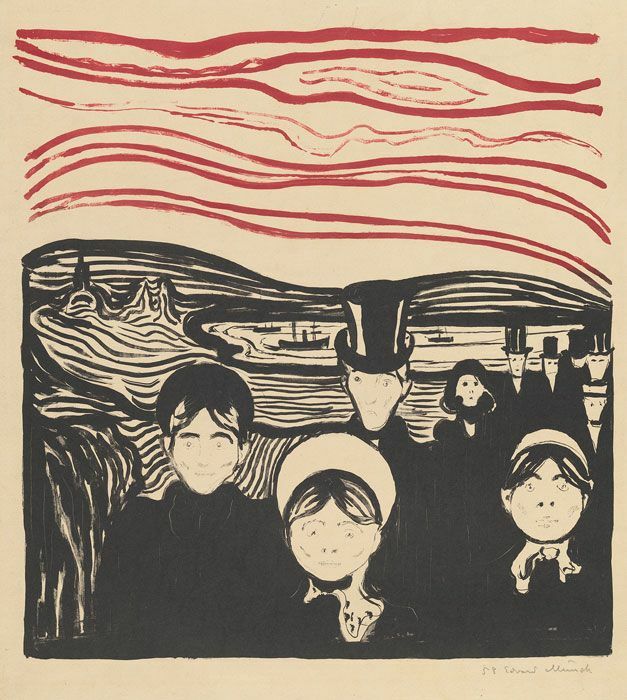 In Munch's use of color, which intensified psychological and expressive meaning, the correlation with theosophical theories and ideas is specific. The exhibition is curated by Jonathan Bober, Andrew W. Mellon Senior Curator of Prints and Drawings, and Mollie Berger, curatorial assistant in the department of prints and drawings, National Gallery of Art. 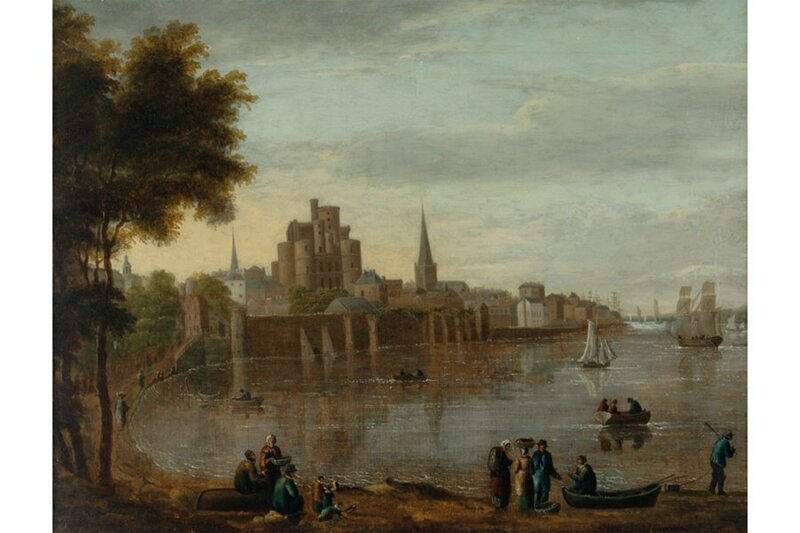 Showcasing the finest historic and contemporary castle artists and combining history with art, Capture the Castle at Southampton City Art Gallery is the first ever large-scale art exhibition on the subject of British castles. It conjures the mystique, excitement and prestige of the castle from Iron Age hill forts to Victorian reproductions and fantasy castles. It includes famous and rarely seen works from public and private collections, including loans from Tate, The British Museum, V&A, the Government Art Collection and from the collections of major artists. The exhibition includes a fully illustrated catalogue, which has been generously sponsored by the Punter Southall Group, and runs until 2 September 2017.